Maintaining liability insurance for your business is a smart thing to do. A lot of people believe they can get away without having it until they actually need it—and then it’s too late. Now, with that said, you also have to be careful to ensure you don’t get yourself into a situation in which your insurance is rendered invalid. For example, these six circumstances aren’t covered by business liability insurance. If it can be proven you set out to cause harm, any associated claim will be denied. Let’s say you get into a disagreement with a client and decide to do lees than your best on a project. If something goes wrong and someone incurs an injury of some sort as a result of your decision, you’ll be held liable. And, your insurance policy won’t cover you. If you, or one of your employees is found to be participating in an illegal act at the time of a loss, your insurer is entitled to refuse coverage. While you might be inclined to think this only applies to something overtly criminal, it can be as simple as a practical joke gone awry, or advertising something about a competitor you know to be false. By the way, false advertising in general can land you in hot water with no insulating coverage. Let’s say you operate a showroom and a customer trips over a doormat on their way in. While you might believe your business liability insurance should cover compensating them for their injuries, this falls under the heading of general liability. It didn’t happen because of a professional service you provided, it happened because you were negligent in the maintenance of your facility. That’s a claim of a different nature. 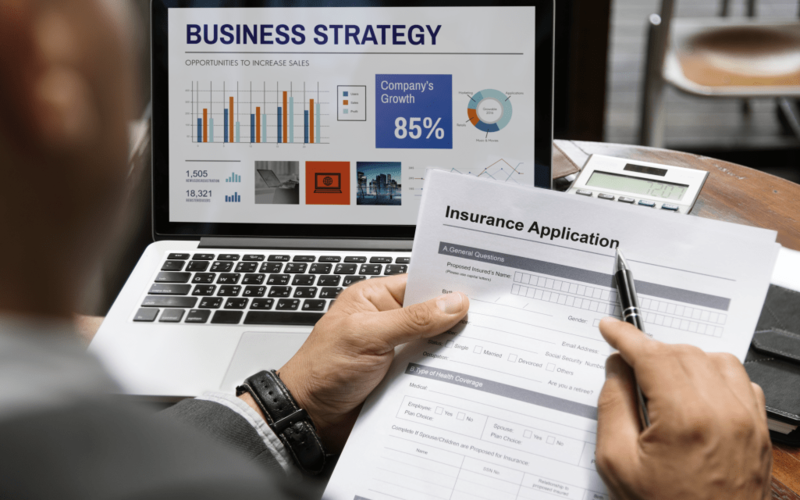 When you’re seeking this coverage, you need to include a general liability policy in your business insurance calculator. Business liability insurance won’t cover an auto accident, even if you, or one of your agents is on their way to do a job. That protection falls under the purview of commercial auto insurance. By the way, if you’re thinking of counting on your personal car insurance, you will be disappointed. Claims for losses occurring during the course of doing business will be denied. Let’s say Worker A has been employed by your company for seven years. A management position comes open and you promote Worker B, who has only been there six months. As a result, Worker A feels they’ve been passed over and sues you for employment discrimination. Your business liability coverage is not going to protect you. Instead, you’ll need an employment practices liability policy. Consider this scenario; it’s been a long day on the road and you’re tired. Arriving back at the office, you misjudge your parking space and hit your building with your truck. Ironically, had you hit a client’s building, your business liability policy would take care of all associated costs. But you hit your own building, so you’ll have to avail yourself of your commercial property coverage.